Our new retail store is located at the same site as our warehouse. 630 Shannonville Rd., Shannonville, Ontario, Canada. Our grand opening for our new store was September 17th, 18th and 19th 2015. Along with our brand new retail space we added a 900 sq. ft classroom so we could offer crafting classes for card making, scrapbooking and more. 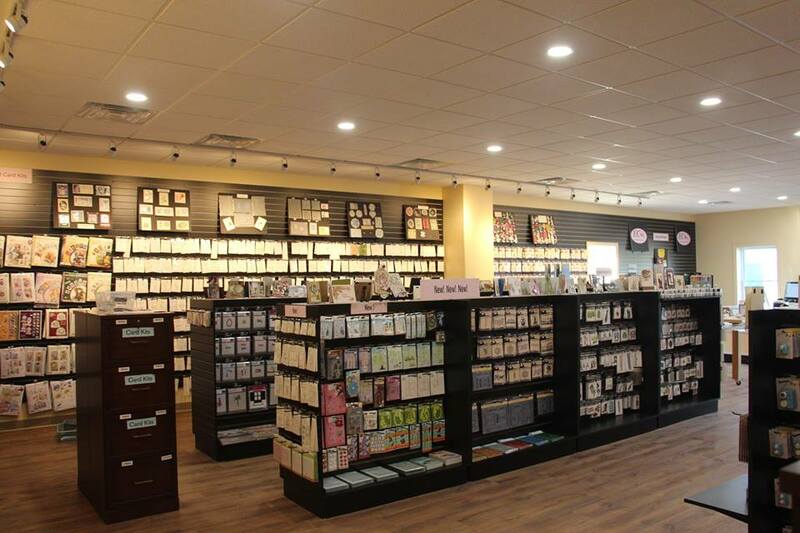 If you are in our store browsing you can ask one of our knowledgeable staff members to see our demo of the week where we will be cutting, embossing, glittering and more. We are excited to show you the newest products and how they work. If you have a question regarding any of our products or if there is a technique you need more information about feel free to ask. Don't forget to make time to view our hundreds of card samples around the store for more inspiration.